crew members. When we got offered the position, we jumped at the chance to get paid to do something we love AND visit Hawaii, a place neither David or I had ever been to. We were coming into Hilo on the Big Island, and David and I planned to spend a week in Hawaii before returning to our own boat in Tonga. First up was a four day Big Island road trip! Disclaimer: I will not get a commission if you book any of these Airbnb site. However, if you’ve never used Airbnb before, you can get a $40 USD credit for yourself and me by using my referral link. After 35 days onboard Julia, we (and our employers!) were ready to get us off the boat and into our own space. As we were approaching Hilo I rented us this amazing and serene AirBNB for the night. We got settled in, David started wrapping up our next video and I went to do laundry. Get $40USD in credit when you sign up for Airbnb. 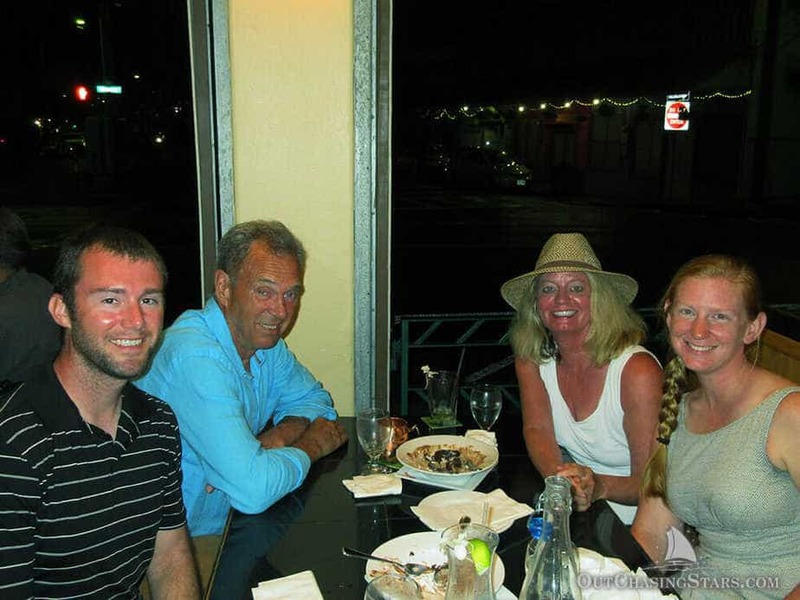 Susan and Tom invited us out for a celebratory dinner, and we met at Pineapples for a really delicious meal. Our AirBNB provided us with an amazing breakfast – waffles (a special treat for David) a tropical fruit platter, and continental offerings. A great start to a Hawaiian visit. Did you know that passion fruits are known as lilikois here? My favorite was lychees, which our host said are going out of season. When I enthusiastically finished them off she brought me another bowl! We picked up our rental car at the airport and made our first stop for our Big Island road trip at Carlsmith Beach, which I read is the best place to spot sea turtles. No turtles were around while we were there, but it was beautiful. 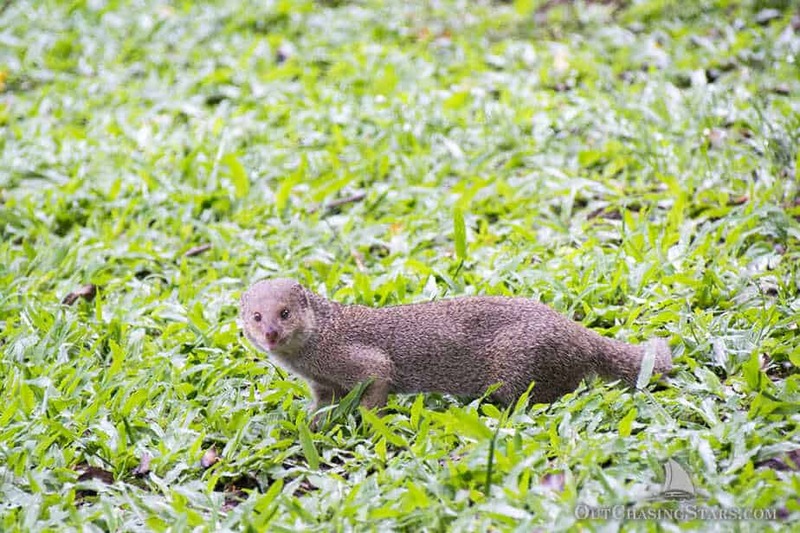 We also drove down Banyan way, where we spotted our first mongoose (an invasive species here in Hawaii). We stopped in at the Suisan Fish Market for a traditional Hawaiian lunch of poke. We had it three ways, and our favorite was definitely the spicy poke, which is mayo based. After lunch we headed off for our big activity of the day – the Hawai’i Volcano National Park. 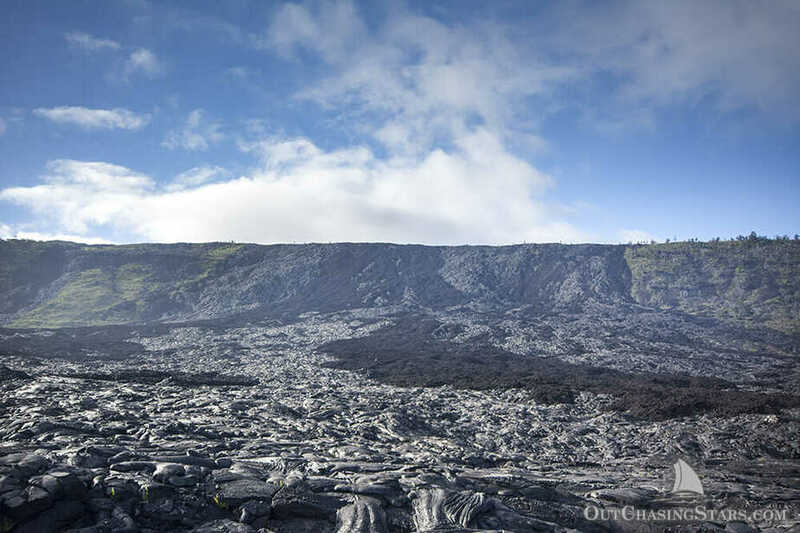 This park is home to Kīlauea, one of the world’s most active volcanoes, and Mauna Loa, the world’s most massive shield volcano. 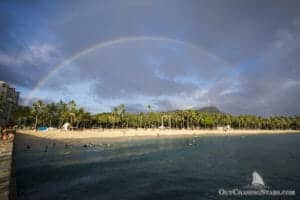 We watched a free 20-minute video about the history of Hawai’i. The video taught us that the Hawaiian islands were formed by the earth’s crust moving over the volcano….sort of like the belt on an assembly line forming Hershey kisses from underneath. In fact, the next Hawaiian island is already forming on the ocean floor. The park is open 24 hours a day and your pass is good for a week. That gives you plenty of time to see the whole park. We started by driving all the way down Chain of Craters Road. The drive took us through many environments – lush tropical rainforests, the arid Kaʻū Desert, and the rugged and dark landscapes of old lava flows. Most of the lava flows were labeled with the year of the flow. This was pretty neat as you could see how the vegetation was growing back from 1969 versus 1986. The end of the drive has a small parking area. 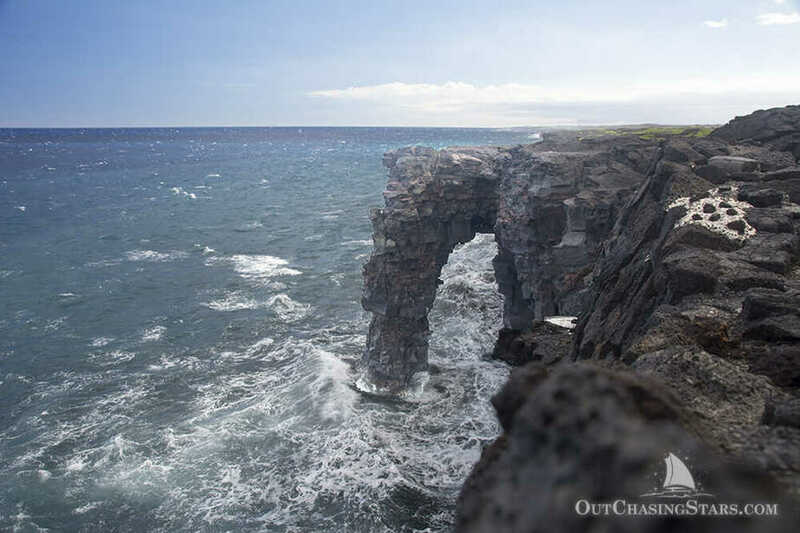 A short hike away is the Hölei Sea Arch, and during the walk, you can see the smoke from the current lava flow. 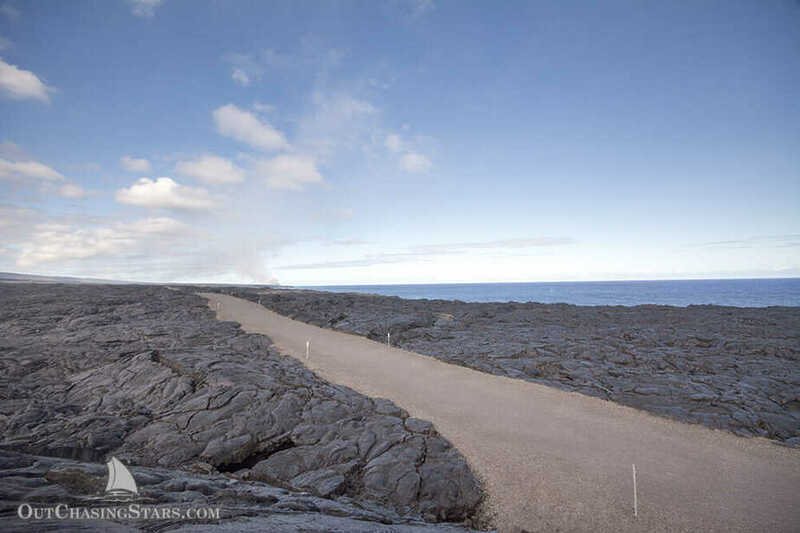 It’s a 5-mile walk to where the lava flow meets the ocean (the west side), which we opted not to do. But we did walk about 15 minutes until we got to a large rocky protrusion that we could climb up and look down the coast from. Back on the road, we stopped to see the Pu‘u Loa Petroglyphs. This area contains over 23,000 graphics carved into the rocks by the native peoples. In particular, when a child was born, the family journeyed to this location to carve a small hole and bury the umbilical cord of the child. 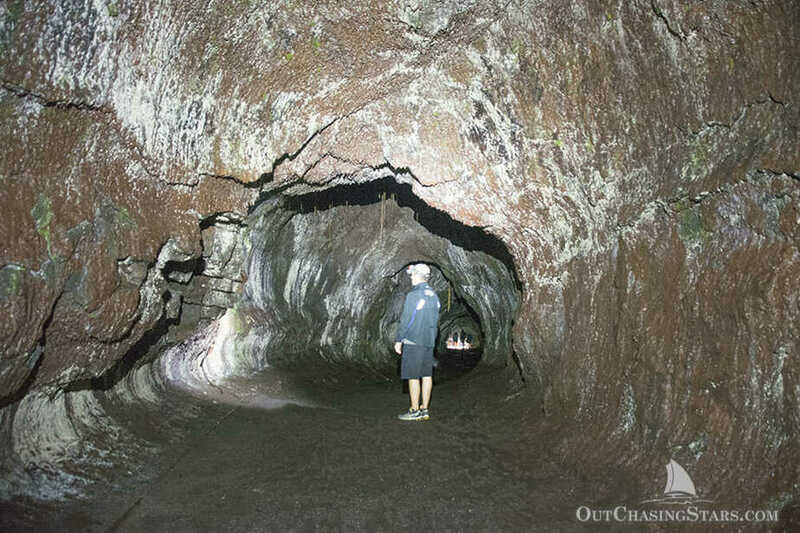 Next, we drove to the Thurston Lava Tube. The premise of the tube is really similar to the one we walked through in the Galapagos – the top of lava flows harden and then drain, leaving a cavity in the earth’s crust. The tube in the Galapagos was short and the rocks were very angular and geometric. Here, the tunnel is long and the walls are smoother. Our stomachs were grumbling, so we drove to the nearby town of Volcano to have dinner at the Kilauea Lodge. Then, back to the park for a nighttime viewing of the Halema‘uma‘u Crater. 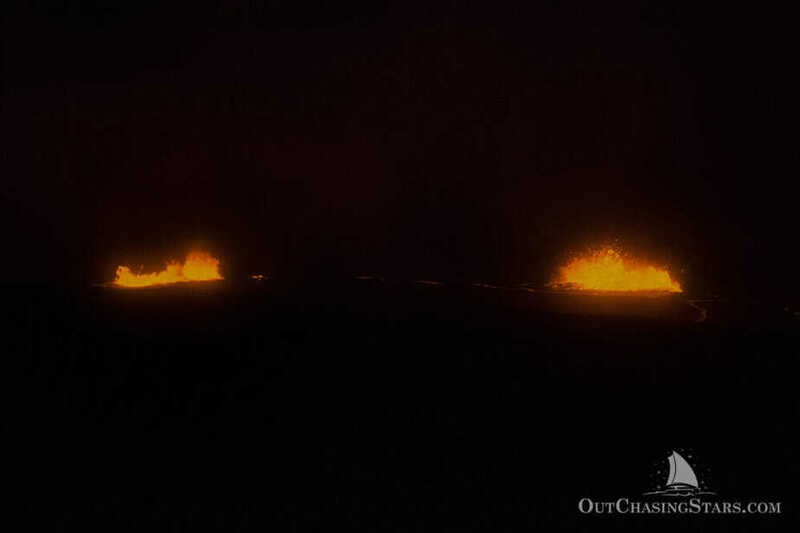 The lava boils and glows in the night, which is amazing to watch. You can see the lava harden, and then the crust breaks apart as the lava below bubbles. We drove off to our Airbnb – I made a rookie mistake. I booked an Airbnb near the lava flow, but, of course, you have to drive ALL THE WAY AROUND the lava flow, which takes an hour from the visitor’s center. However, the drive was pretty worth it. The AirBNB was the closest house to the lava flow on the east side (roughly 4 miles away) and built on the old lava flow. It also survived a lava flow, and we could see the glowing lava flowing down the mountainside from our porch. If I had planned better, this is the side to make the trek to the lava flow. There are hundreds of bikes for rent at the end of the road. We arrived too late to rent a bike to go see the flow at night. Tuesday we got up and had a fantastic breakfast at the Tin Shack on our way back to the park. We had to pass by the park anyway to head to Kona, so we stopped to view the crater during the day. There were only a handful of people at the crater, so we got to eavesdrop on a private tour. The rest of Tuesday was a designated beach day for our Big Island road trip. 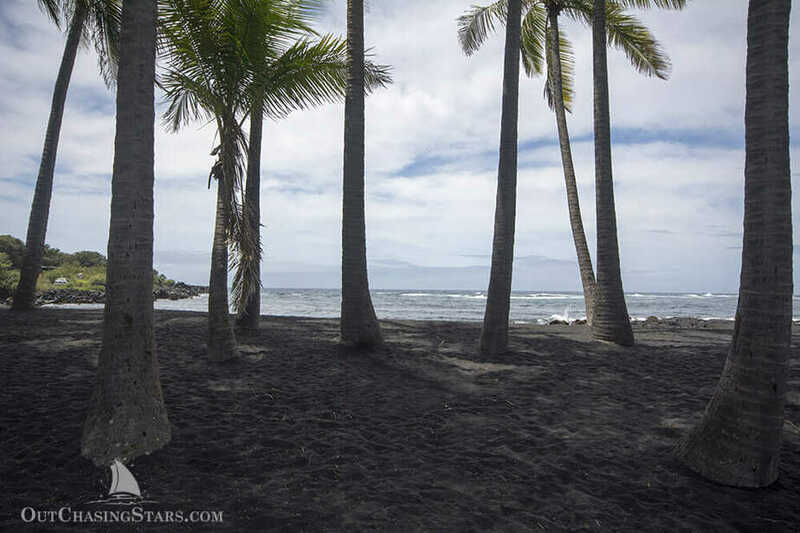 First, we drove to the Punalu’u Black Sand Beach. It was easy to get to and had services (picnic benches, restrooms, lifeguards…). The sand was truly gorgeous, and we enjoyed sitting back to relax for a little while. 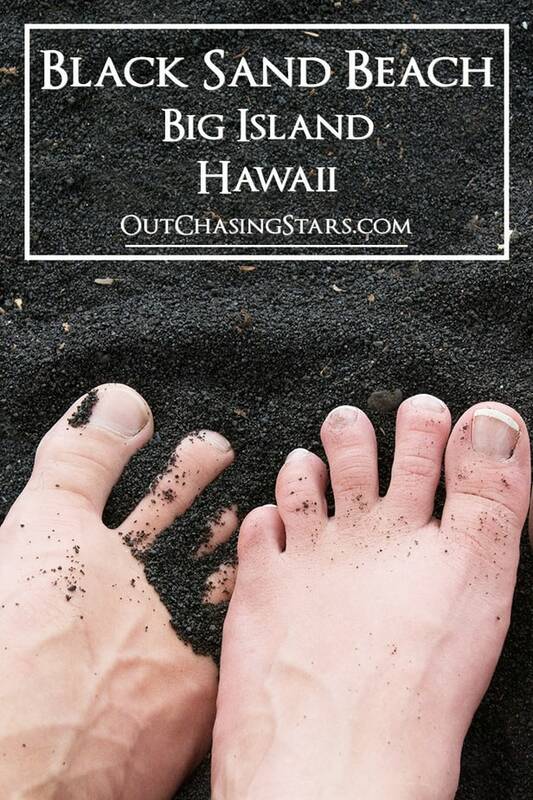 Black sand beaches hold a special place in our heart, as David proposed to me on a black sand beach in Costa Rica. A much longer drive took us to the Papakōlea Beach on the very south tip of the island. The southernmost point in the United States, the beach is only accessible via a rugged road. Most cars won’t make it, so some enterprising locals have old beat-up trucks, outfitted to hold about a dozen people standing up in the back. Working for tips, they shuttle tourists down to the Papakōlea beach, where after a short hike down, we were rewarded with a beautiful swimming beach, with sand a unique golden-green color. We had a picnic of sandwiches we got from the Punalu’u Bake Shop, including our first taste of malasadas. 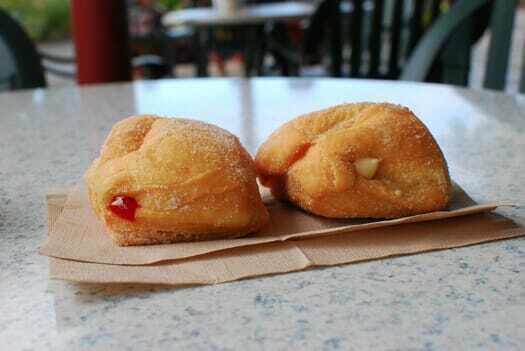 Malasadas are a Portuguese fried dough treat, usually stuffed. I went for a full swim, and it was the first time in a long time to really swim (with the exception of New Zealand which was really too cold to enjoy). On the truck ride back, the driver stopped at a nearby shoreline and picked up a big handful of emerald green sand to show us. That shore was just small and rocky, not really a beach or place to hang out at all. The green sand definitely makes a highlight of our Big Island road trip. After the beach, we headed north up to Kailua-Kona, the most touristy section of the Big Island. We stayed at a lovely Airbnb, and grilled up a nice simple dinner. Our host made us breakfast and we took off to drive north again. 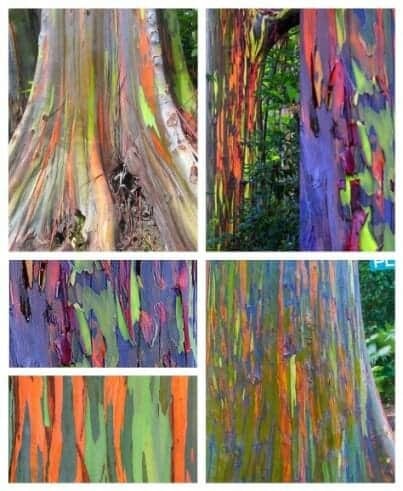 The article says Rainbow Eucalyptus trees can be found in several places, so I’m guessing the pictures were from the location on Maui. We drove up to the Waipiʻo Valley Lookout to get a view over one of the most beautiful valleys in Hawaii. There is a hike, which is downhill out and then VERY uphill back, plus you have to ford a river. However, at the end of the hike is the tallest waterfall on the island. We opted not to do the hike, but we walked for a short way just to get some exercise and enjoyed the views from the lookout. We made a stop at Tex Drive-In, for another tasting of malasadas, which ended up being our favorite malasadas; hot from the oven and a great dough to filling ratio. Photo creds to Food GPS. Our last night on the Big Island was spent in Pepeekeo, a tiny little town north of Hilo. 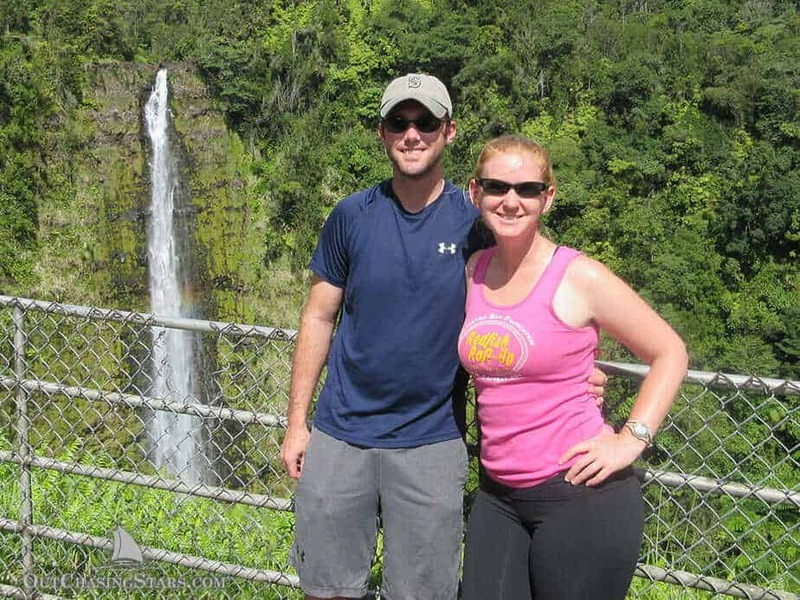 Our Airbnb was a new inn, just minutes away from our morning destination – Akaka Falls. 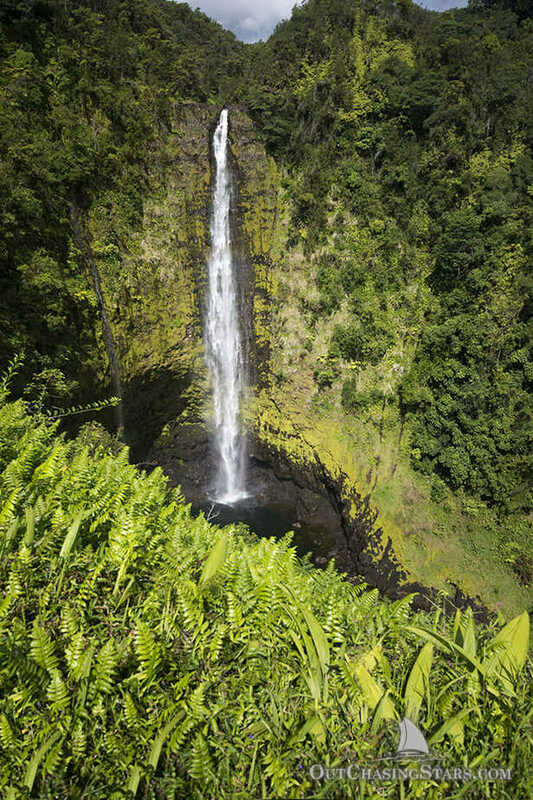 Akaka Falls was a short walk, and a stunning 442-foot waterfall. After that, we had some errands to run in Hilo, grabbed a fantastic lunch at Puka Puka cafe, and went to the airport for our flight to Honolulu. We had a great time on our Big Island road trip. In particular, we had a ton of great food, I don’t think I was disappointed by a single meal. Also, just the drive itself was stunning. The island of Hawaii posses 10 of the 14 original zones of the Koppen Climate Classification System. We drove through the arid desert, lush jungle, and temperate forests. Not only was the climate and vegetation interesting, but the shape of the land varied greatly between the east and west sides. The east side was a lush jungle in valleys and peaks, much like the Marquesas islands. The west side stretches flat for a few miles and then sharply climbs upwards. It’s good to note that as we drive north from Kona, we took highway 190 instead of 19. 190 is at the higher elevation and gave us a beautiful view looking down over the flat stretch of shore where 19 runs. We also scaled up above Kona on our search for the eucalyptus and drove through clouds! Kona and Hilo both have international airports. Hilo is on the east side and Kona to the west. 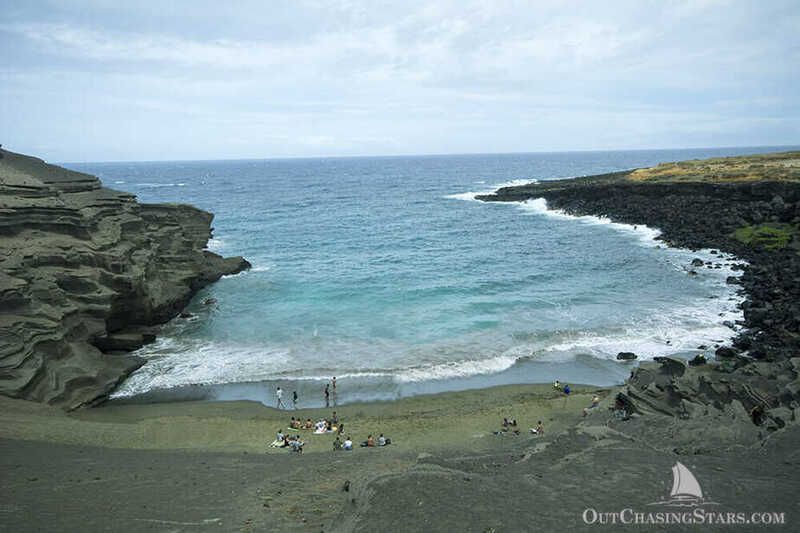 Since our four day Big Island road trip was a loop, you can start at either place. Hilo only has international flights coming in from Los Angeles, whereas Kona has many more options. Another option is to fly into Honolulu first and then fly Hawaiian Airlines within Hawaii. We rented a car from Hertz at the Hilo airport. Since we booked just one night in each place, we found it easiest to book through Airbnb, and we enjoyed all of our hosts and sites. As always, we were sad to end our Big Island road trip but felt our four days were very well spent. Lovely to read such a thorough overview of an island that somehow doesn’t get as much press as some of the others. I’ve not been to Hawaii yet (it’s a very long way from the UK), but the Big Island is the one that appeals to me the most. I can’t believe you got there by boat though – that’s some voyage! Thank you! It was a great adventure sailing there. Wow! 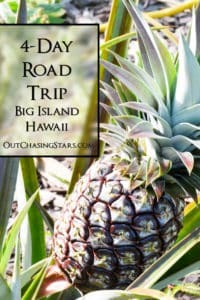 I am headed to Hawaii in a couple of months and doing a road trip around the big island is right up my alley. Also, I didn’t know about the rainbow Eucalyptus! Unfortunate you guys were unable to find them, but I would be curious to find those for sure! This is indeed an epic road trip. Aloha island looks like a slice of paradise.The stuff that dreams are made of and seem to embody the spirit of Hawaii. The breakfast spread looks really exotic. 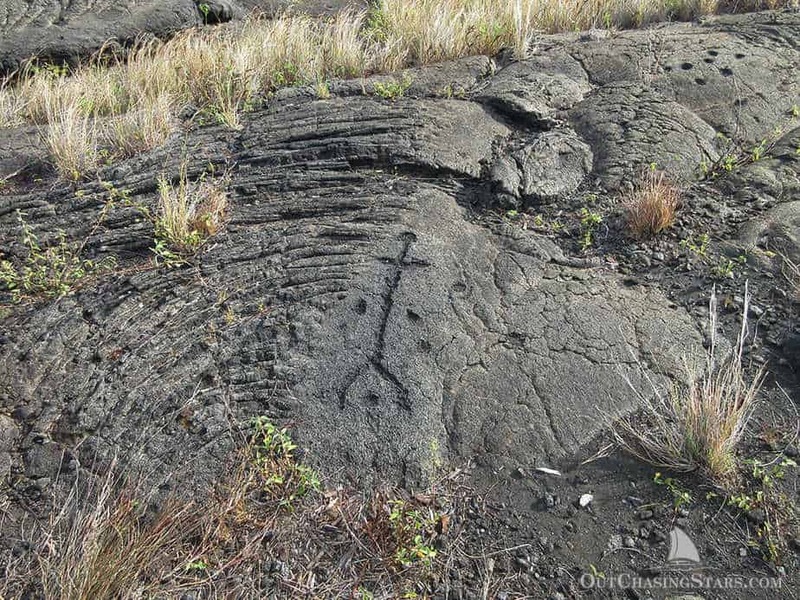 What caught my attention was the part about Pu‘u Loa Petroglyphs, 23,000 graphics carved into the rocks? Wow. How fascinating is the tradition of carving a hole and burying umbilical cords! Yeah it was pretty amazing. This place looks like there is something so different around every corner! 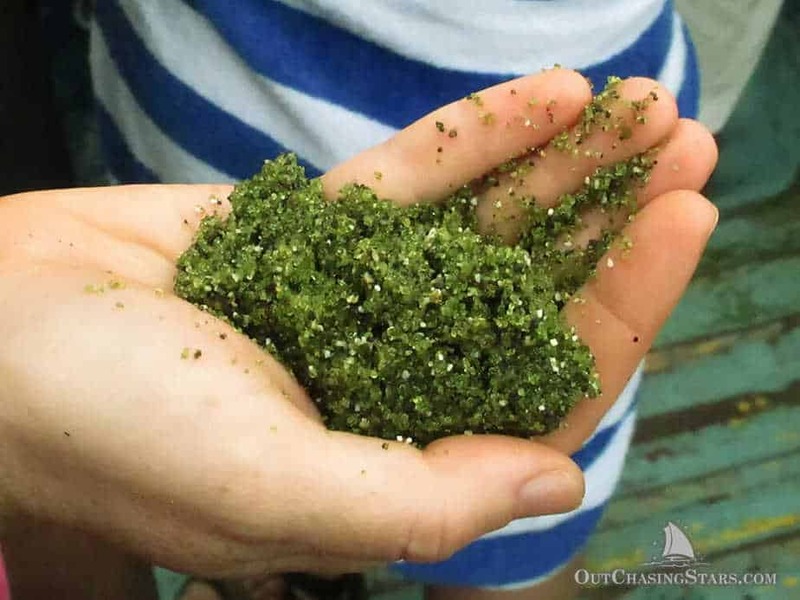 from Rainbow Eucalyptus trees to that green gain found in the sand…. very unique. I had never heard of this place before thanks for sharing. This brings back wonderful memories of our Big Island trip. We loved everything about the volcanoes and black sand beach. We never had poke for lunch, though. I guess we’ll have to go back. Pole is definitely worth a return trip, but you could make it at home too! I would love to visit the Big Island. Thanks for sharing your trip. Would love to do many of the things you did. 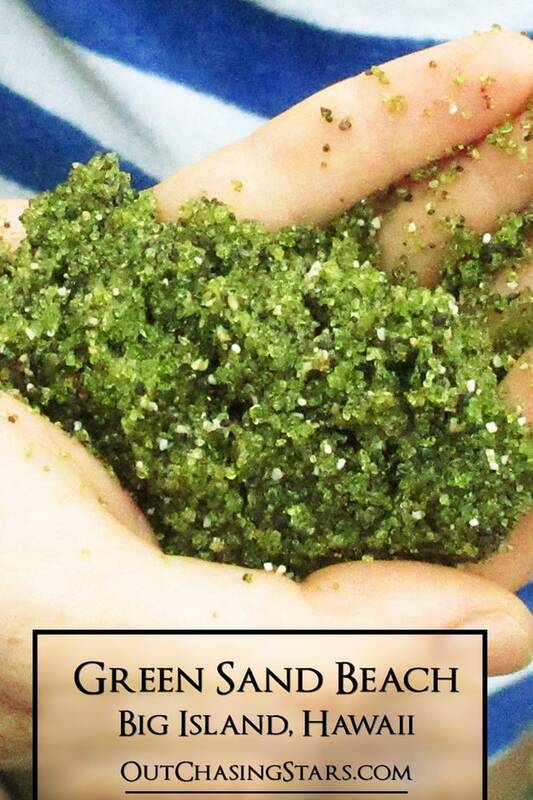 And, how cool is green sand! Thanks! The green sand was pretty dang awesome. Sounds like a fabulous road trip! I cannot wait to get back to Hawaii, I’m saving this for later. Thanks for sharing. We haven’t made it to Big Island after visiting Oahu and Maui and I see we’ve been missing out! 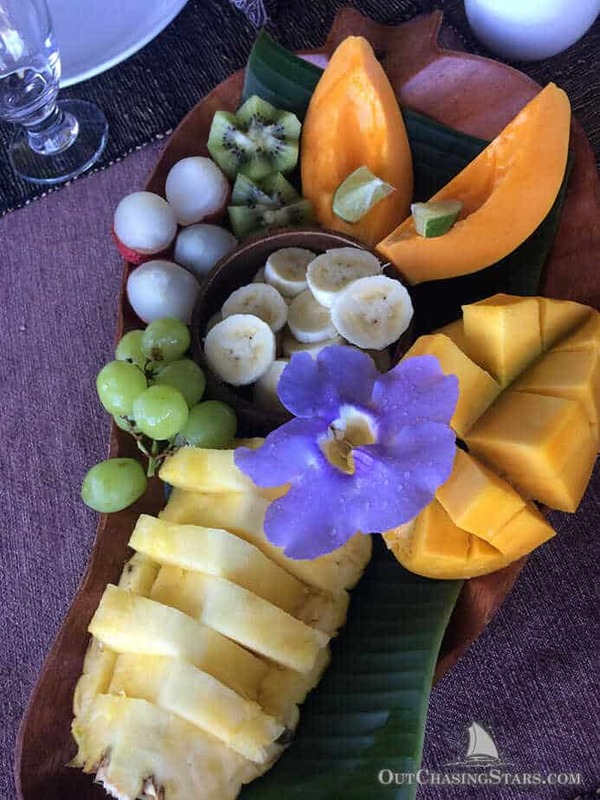 Your airbnb host was so nice to offer you that nice platter of fresh fruit! I love fruit so much. It was a great part of the trip. 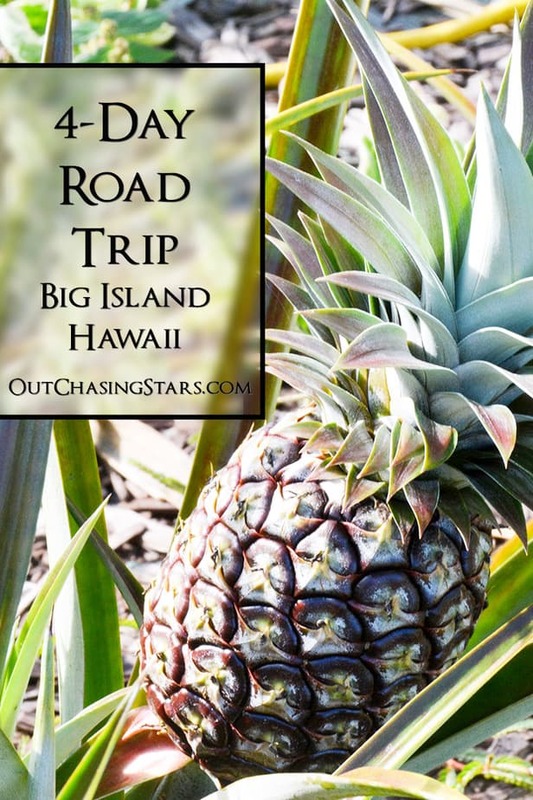 I love a good road trip – looks like you guys created a great one for the Big Island. 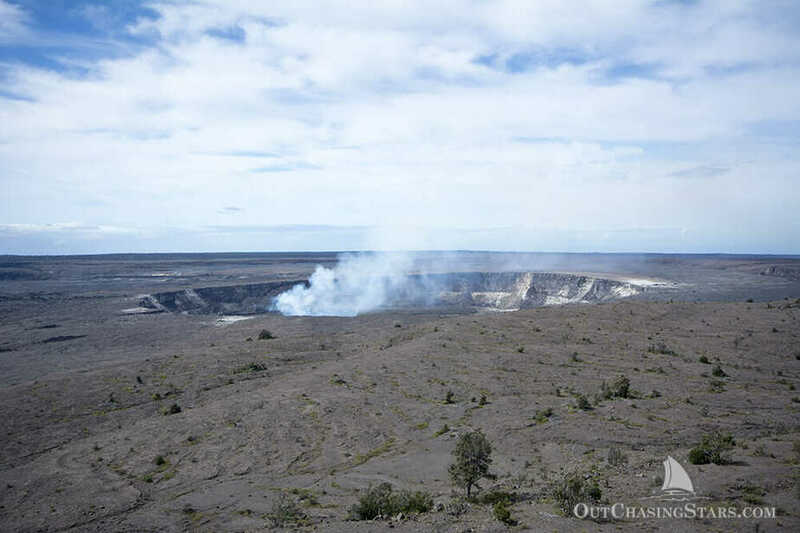 I’d love to see the Halema‘uma‘u Crater with the bubbling lava – so cool. Hawaii has been on my bucket list for quite some. Seeing these pics makes me want to move it up a few spots. Thanks for sharing. Thanks! There were so many good things to see it’s definitely a great road trip. Glad you liked it! You never know when an opportunity to go might come up! Thanks Mel! Fortunately it wasn’t 35 days straight at sea….just 35 days on Julia. We really enjoyed the Big Island, it’s a great place to visit! Thanks for all the info and great pictures! 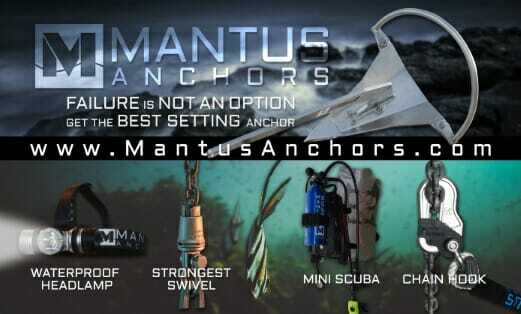 You surely did find some unique sites! You two have become masters at photographing and writing a travelogue to accompany them!! Great job and traveling the Big Island brought back memories of many, many years ago when Grandpa and I visited there for a few days. I remember the volcano and the volcanic landscape but you two don’t miss anything!! I love reading your blogs–and of course I love you two immensely too! Awesome Big Island adventure! I spent three months on the island on the Kona coast but the Hilo side was always my favorite. And the poke at Suisan… so good (and huge). Thanks for bringing up great memories! You are welcome! I poked around your blog a bit, looks fantastic! Thanks Amy! Your channel and blog made my decide to learn sailing and eventually sail from Israel (my home) to Tahiti (my second home). That sounds amazing! I hope you will blog about it! Wow, your photos are great and you provide very good narrative of your trip. Southernmost point in US? Really? I thought Hawaii was more north than most people think, and Key West stakes a claim to southernmost point. What do you think? PS, love the green sand and geology lesson!